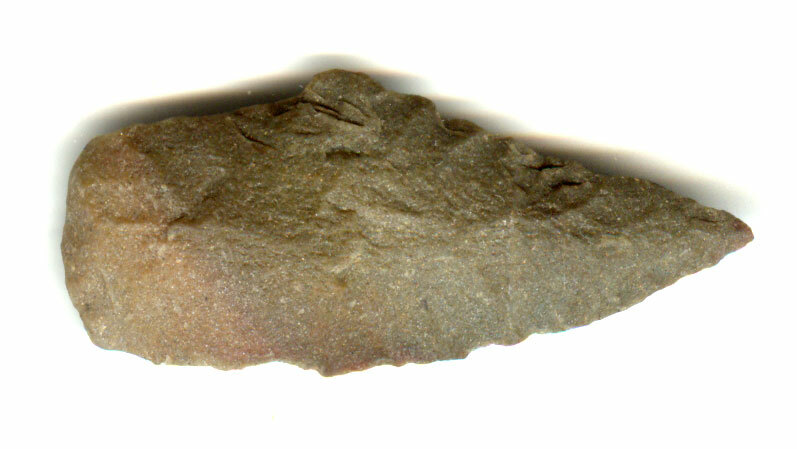 A Normal Size, Visibly Aged And Anciently Use Sharpened, Typically Made, Nicely Flaked, Red River Knife That Exhibits Surface Sheen And Overall Stone Coloration Aging Patination, Correct Rolled Basal Stem Edge Hafting Dulling, Aged Stained Hinge Fractures, Visible Ancient Aged Blade Sharpening Use Wear, Polished Hinge Blade Use Wear, Aged Surface Deposits, Correct Asymmetrical Blade Sharpening And Ground Base, Correct Material And Manufacture For The Area Found. The Red River Knives Are Believed To Be Made By The Cody Complex People From A Sharpened Scottsbluff Point. Includes A Ken Partain Certificate Of Authenticity!